List of Indian cities in Excel format is available for sale for a nominal price. 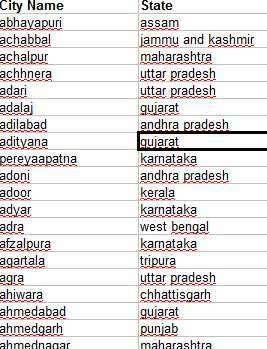 This data is collected from reliable sources and contains a list of more than 1600 Indian cities along with their state names. The data is mostly accurate however little(1% or less) inaccuracy may be there. 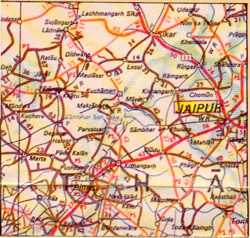 Do you need list of Indian cities along with their states? Available with us is list of 4000 cities of India along with their states in excel sheet. If you need any custom formatting then we can do it for you and contact us for special quote of it. After you make payment we will email you the list. The list is good enough but not very accurate and it has been prepared by us only. Refunds not admissible. But you can ask for sample records before you buy it from us.